While the season 2 of Empire is in full swing, FOX has unveiled the trailer for "More Than Kin", episode 15 of season 2 of "Empire". Cookie still supports Lucious. The Empire takes a new turn with episode 15, where it announced that "Lyon will collapse." The tension is at its height between Lucious and Jamal. The patriarch made it clear to his son all that he owes. 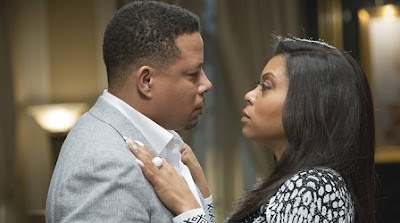 Cookie is about to fall in love with Lucious while the two characters don’t appear to be on the same wavelength. The relationship between Hakeem and Anika looks also very tense. The series continue to garner one of the best audiences of Wednesday night across the Atlantic. It must be said that actors particularly care for their benefit, just like Taraji P. Henson, who won the Golden Globe for "Best Actress in a Drama Series" in Los Angeles. The actress had praised all production in an interview with Entertainment Weekly. "Throughout my career I was told 'Black shows are not popular in abroad, we cannot do that.' and Cookie arrived and everyone fell in love with her! People see actor’s talents they see talented scripts. Again, thank Dana and Gary for believing in this project and to have seen a coming change was necessary. Something needed to shake television. She is too conservative and that's not the real world. Look around you! " The episode 15 of season 2 of Empire will premier on FOX on April 27.